The new Sharp W51SH mobile phone is the ultimate 3-inch rotating wide QVGA (320 x 240) display with AQUOS technology multimedia device, featuring Digital TV, TiVo, and a media center. The display enables users to adjust brightness based on ambient lighting conditions. You can catch your favourite TV programs when on the move and with the Electronic Programming guide you can record the program for later viewing too. 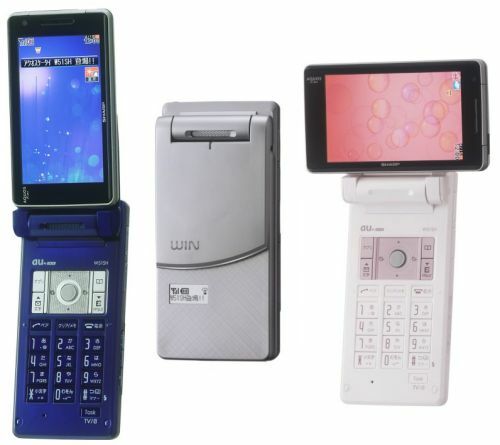 The phone is 50Ã—109Ã—23mm and weighs 136 grams is supporting One-Seg digital TV like the new Casio W51CA. Features of the Sharp W51SH include TV-Out, 2MP camera, microSD card slot, music player and a high-speed irDA interface with 4Mbps. At just 50 x 109 x 23mm and 136g, Sharpâ€™s other features include a 2.0-megapixel camera, a voice assisted GPS with an easy to use 3D interface., microSD card slot, USB connectivity, and TV-out. Pricing and availability (outside of Japan) have not yet been announced.